I am new in Affinity Designer, coming from Adobe Illustrator. When I place a picture/file in Illustrator, I have a links panel where I can see all placed files and their properties. Like path to the original file, solution in DPI, colorprofile of a picture, the actual solution and whether they are imbedded, linked or missing. Do I have equal in Affinity? Wher can I sfind out the properties of a placed picture? Only Affinity Publisher has a Resource Manager to manage embedded/linked files. Currently Affinity Designer only allows embedding, not linked files. And where can I find out which colorprofile the embedded file has? Does it keep its original profile or is it changed at import? And to which profile is it changed? rgb to working space rgb? cmyk to workingspace cmyk? no profile to what? 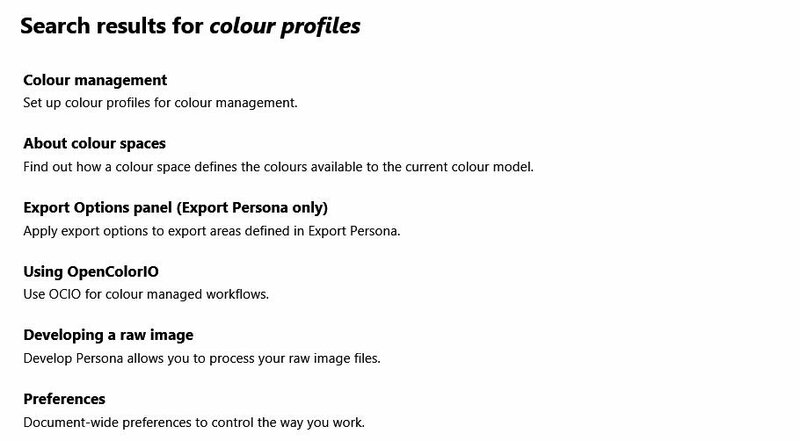 - Can I change the profile at export like one pdf for offset print another for newspaper? - is there any tutorial about the colormanagement workflow? - is there any tutorial about the softproof dialog? How does the softproof work? - what is the best strategy, when I want to keep the profiles unchanged as long as possible for a later output for different media? Hi! anybody out there to answer my questions? 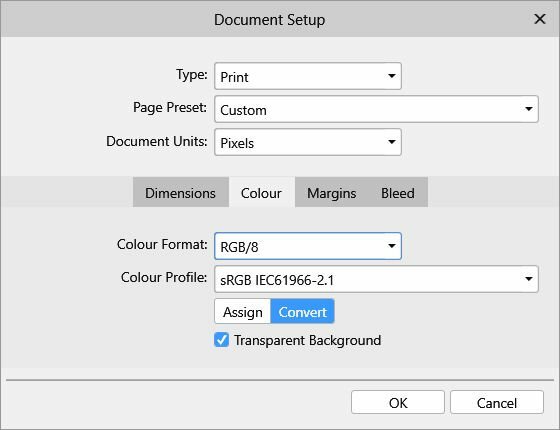 It uses sRGB as the default document profile which you can change under the document settings. Further you can define for certain export formats an output profile on demand. Intuition, honestly I don‘t know but on a German localized iPad you get german links and I was too lazy to convert or setup an English one! Ausserdem kann man Testen ob @katrinrr Deutsch versteht oder nicht! So, can I assume that you can speak German like a native ? Yes I can, και σχεδόν τα ελληνικά. Yes I can, και σχεδόν τα ελληνικά﻿. I'm jealous. I can only speak English and can't even speak that very well. I am too stupid to find the info panel . Are you shure it is in Affinity DESIGNER? This might help a bit ? The problem is: I want to find out which colorprofile a pixelimage has, placed in A-Designer. To know if the original profile has been changed, and to control the output for print. e.g. 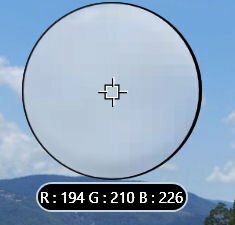 has a rgb image been changed to cmyk? Or has a cmyk profile been changed to another cmyk (like newspaper to offset). If you understand, what I mean. I think you are being a bit demanding of a program that is mostly designed to be an Illustration program with extras. I'm just used to Adobes Colorworkflow and missing it in Affinity. In Affinity Designer, an opened file's color profile is honored by default. You have the option to convert it to the current working color space. When placing images into an existing document, the image's embedded color profile will always be converted to the document's current working space. So it's a question of whether you're doing File > Open or File > Place... (or the equivalent Place Image tool). For File > Open it depends on the Color Preferences you have set in Affinity, but for Place it's always converted to the document's working space. Na genau so, indem Du halt mit Chance verstehst was man da auf Deutsch schreibt und dann ebenso in selbiger Sprache antwortest. Wenn Sie eine Datei öffnen, wird ihr Farbraum automatisch übernommen. Sie können den Farbraum aber auch in den standardmäßig verwendeten Arbeitsfarbraum konvertieren. Aktivieren Sie hierzu über Affinity Designer > Einstellungen unter Farbe die Option Geöffnete Dateien in Arbeitsraum umwandeln. Das aktuelle Farbprofil des Dokuments wird links oben in Ihrem Arbeitsbereich angezeigt. Standardmäßig wird in Affinity Designer das Farbprofil einer geöffneten Datei übernommen. Sie können das Profil jedoch auch in den aktuellen Arbeitsfarbraum umwandeln. Platzieren Sie Bilder in einem bestehenden Dokument, wird das eingebettete Farbprofil des Bildes immer in den aktuellen Arbeitsfarbraum des Dokuments umgewandelt. Bei dem Export können Sie das Farbprofil des Dokuments oder ein anderes benanntes Farbprofil einbetten, um für eine genaue Farbdarstellung zu sorgen. Alternativ können Sie die Datei auch ohne Einbetten eines Profils exportieren. Yes those are the same, but instead the German language help texts. Well I think, it's like cycling, if you do not do it for years then you'll probably just lose it. You have to constantly use (train) things otherwise you forget it. - For example, I once (some time ago) was very fit in some specific object-oriented programming languages (Eiffel, Smalltalk, CLOS ...), since then I worked and programmed a lot in those. However nowadays I've forgot most of the subtleties of these languages (syntax/semantics), meaning I would need to do huge refreshings, since I don't use them anymore and thus forgotten to code in those. So just the overall OO and software egineering concepts once learned from those, is what you then still reuse in more mainstream languages of today, well the later is something you probably never forget that easily. @walt.farrell: your answer was very helpful, also your links @v_kyr, . What profiles would be the best for my workingspace? LAB? 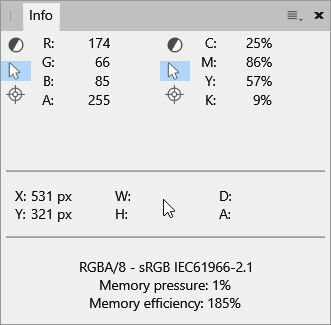 Adobe RGB? eciRGB? When I place a picture with a smaller profile, it will be converted. Before export it will be converted again, so it will change its colours completely. If the picture could keep its profile until export, it will only be converted once. And what will happen to CI colors? In Illustrator I can choose at export, that predesigned CMYK can keep its color value. I know this is more a question to the developer team of Affinity Designer.